Within Earth’s orbit, there are an estimated eighteen-thousands Near-Earth Asteroids (NEAs), objects whose orbit periodically takes them close to Earth. 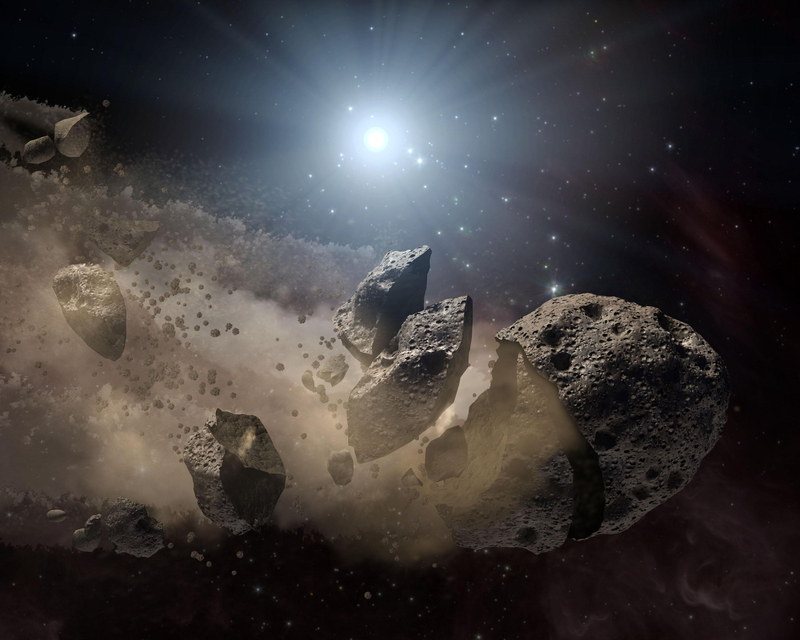 Because these asteroids sometimes make close flybys to Earth – and have collided with Earth in the past – they are naturally seen as a potential hazard. For this reason, scientists are dedicated to tracking NEAs, as well as studying their origin and evolution. In 2009, Arkyd Aeronautics was formed with the intention of becoming the first commercial deep-space exploration program. In 2012, the company was renamed Planetary Resources, and began exploring the ambitious idea of asteroid prospecting and mining. By harnessing Near-Earth Objects (NEOs) for their water and minerals, the company hopes to substantially reduce the costs of space exploration. A key step in this vision is the deployment of the Arkyd 6, a CubeSat that will begin testing key technologies that will go into asteroid prospecting. Last week (on Friday, January 12th), the Arkyd-6 was one of 31 satellites that were launched into orbit aboard an Indian-built PSLV rocket. The CubeSat has since been deployed into orbit and is already delivering telemetry data to its team of operators on the ground. The launch was not only a milestone for the asteroid prospecting company, but for commercial aerospace in general. For the purposes of creating the Arkyd 6, the company modified commercial-available technology to be used in space. This includes the mid-wave infrared (MWIR) sensor the spacecraft will use to detect water on Earth, as well as its avionics, power systems, communications, attitude determination and control systems. The company hopes to mount the Space Resource Exploration Mission by 2020, which will involve multiple spacecraft being deployed as part of a single rocket launch. These will be carried beyond Earth’s orbit and will use low-thrust ion propulsion systems to travel to asteroids that have been prospected by Arkyd-301. Once there, they will collect data and collect samples for analysis. During the course of the Arkyd-6’s flight, 17 elements will be tested in total, the most important of which is the MWIR imager. This instrument will be the first commercial infrared imager to be used in space and relies on custom optics to collect pixel-level data. With this high-level of precision, the imager will conduct hydration studies of Earth to determine how effective the instrument is at sniffing out sources of water on other bodies. Based on the findings from this initial flight, the company plans to further develop the sensor technology, which will be incorporated into their next mission – the Arkyd-301. This spacecraft will be the first step in Planetary Resources plan to make asteroid mining a reality. Using the same technology as the Arkyd-6 (with some refinements), the spacecraft will be responsible for identifying sources of water on Near-Earth Asteroids. All told, there are over 1600 asteroids in Near-Earth space. According to Planetary Resources own estimates, these contain a total of 2 trillion metric tons (2.2 US tons) of water, which can be used for the sake of life support and manufacturing fuel for space missions. By tapping this abundant off-world resource, they estimate that the associated costs of mounting missions to space can be reduced by 95%. Much like SpaceX’s ongoing development of reusable rockets and attempts to create reusable space planes (such as the Dream Chaser and the Sabre Engine), the goal here is to make space exploration not only affordable, but lucrative. Once that is achieved, the size and shape of space exploration will be limited only by our imaginations. Beyond Earth’s orbit, there are innumerable comets and asteroids that are collectively known as Near-Earth Objects. On occasion, some of these objects will cross Earth’s orbit; and every so often, one will pass too close to Earth and impact on its surface. While most of these objects have been too small to cause serious damage, some have been large enough to trigger Extinction Level Events (ELEs). For this reason, NASA and other space agencies have spent decades cataloging and monitoring the larger NEAs in order to determine if they might collide with Earth at some point in the future. The only question has been, how many remain to be found? According to a recent analysis performed by Alan W. Harris of MoreData! – a California-based research company – only a handful of NEAs haven’t been catalogued yet. These findings were the subject of a presentation made this week at the 49th annual meeting of the American Astronomical Society’s Division for Planetary Sciences in Provo, Utah. As Harris indicated during the presentation, titled “The Population of Near-Earth Asteroids Revisited”, previous estimates of the remaining NEAs have been plagued by a consequential round-off error that have skewed the results. The source of this error has to do with how organizations that monitor NEOs determine “size-frequency distribution”. Basically, estimates are given in terms of number versus brightness, since most discovery surveys were conducted in the visible spectrum. This is not a reliable way of determining size though, since asteroids don’t all have the same albedo (aka. reflectivity). 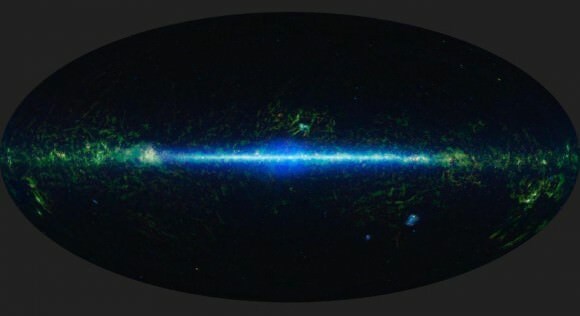 While this has not caused much in the way of problems in the past, it has become significant as far as assessments of how many larger objects remain to be found are concerned. Harris first became aware of the potential for problems this past year after Dr. Pasqual Tricario – a Senior Scientist at the Planetary Science Institute – conducted a study that produced estimates different from those obtained by Harris and Italian astronomer Germano D’Abramo two years before. The 2015 study conducted by Harris and D’Abramo – which appeared in Icarus under the title “The population of near-Earth asteroids” – yielded an estimate of 990 NEAs that were larger than 1 km in diameter. However, Tricario’s study (“The near-Earth asteroid population from two decades of observations“, also published in Icarus), which was based on the opposite “less than or equal to” assumption, produced estimates that were 10% lower. After applying the correction, Harris and D’Abramo’s overall estimate of undiscovered NEAs dropped from 990 to 921 ± 20. Beyond allowing for consistency between different studies, these corrected estimates also reduced the total number of undiscovered objects that remain undiscovered. According to the latest tallies from NASA’s Jet Propulsion Laboratory, 884 NEAs that are about 1 km in diameter have been discovered so far. Based on the previous population estimate of 990 objects, this implied that the current surveys are 89% complete and 106 were yet to be found. When the corrections were applied to these numbers, JPL’s surveys now appears to be 96% complete, and only 37 objects remain to be found (almost three times less). Naturally, these new estimates depends on their own sets of assumptions, and different results can be obtained based on different criteria. NASA is getting much better at discovering and detecting NEOs. Credit: NASA/NEO Program. Still, a reduced estimate of undiscovered asteroids is definitely encouraging news. Especially when one considers how hazardous large asteroids are to the safety and well-being of life here on Earth. As of October 3rd, 2017, NASA’s Center for Near-Earth Object Studies (CNEOS) announced that there are a total of 157 potentially hazardous asteroids out there. Knowing that only a few more need to be found is bound to help some of us sleep at night! Future studies are also expected to benefit from the deployment of next-generation missions. Thanks to the efforts of NASA’s Near-Earth-Object WISE (NEOWISE) mission, which looks for NEOs in the infrared band (rather than visible light), that number of known NEOs has increased substantially. With the deployment of the James Webb Space Telescope, those numbers are expected to reach even higher. Between improvements in technology and methodology, a day may yet come when all Near-Earth Objects – be they big or small, potentially hazardous or harmless – are accounted for. Combined with asteroid defenses, like directed-energy beams or robots spacecraft capable of attaching themselves to asteroids and redirecting them, Extinction Level Events might very well become a thing of the past. In April of 2016, astronomers became aware of a distant object that appeared to be orbiting the Sun, but was also passing close enough to Earth that it could be periodically viewed using the most powerful telescopes. Since then, there has been ample speculation as to what this “Temporary Moon” could be, with most astronomers claiming that it is likely nothing more than an asteroid. However, some suggested that it was a burnt-out rocket booster trapped in a near-Earth orbit. But thanks to new study by a team from the University of Arizona’s Lunar and Planetary Laboratory, this object – known as (469219) 2016 HO3 – has been confirmed as an asteroid. While this small near-Earth-asteroid orbits the Sun, it also orbits Earth as a sort of “quasi-satellite”. The team that made this discovery was led by Vishnu Reddy, an assistant professor at the University of Arizona’s Lunar and Planetary Laboratory. Their research was also made possible thanks to NASA’s Near-Earth Object Observations Program. This program is maintained by NASA’s Center for Near-Earth Object Studies (CNEOS) and provides grants to institutions dedicated to the research of NEOs. The details of this discovery were presented this week at the 49th Annual Meeting of the Division for Planetary Sciences in Utah at a presentation titled “Ground-based Characterization of Earth Quasi Satellite (469219) 2016 HO3”. During the course of the presentation, Reddy and his colleagues described how they spotted the object using the Large Binocular Telescope (LBT) at the LBT Observatory on Mount Graham in southeastern Arizona. Discovering the true nature of this object has also solved another big question – namely, where did 2016 HO3 come from? For those speculating that it might be space junk, it then became necessary to determine what the likely source of that junk was. Was it a remnant of an Apollo-era mission, or something else entirely? By determining that it is actually an NEO, Reddy and his team have indicted that it likely comes from the same place as other NEOs. Reddy and his colleagues also indicated that 2016 HO3 reflected light off its surface in a way that is similar to meteorites that have been studied here on Earth. This was another indication that 2016 HO3 has similar origins to other NEOs (some of which have entered our atmosphere as meteors) which are generally asteroids that were kicked out of the Main Belt by Jupiter’s gravity. But unlike other NEOs which periodically cross Earth’s orbit, “quasi-satellites” are distinguished by their rather unique orbits. In the case of 2016 HO3, it has an orbit that follows a similar path to that the Earth’s; but because it is not dominated by the Earth’s gravity, their two orbits are out of sync. This causes 2016 HO3 to make annual loops around the Earth as it orbits the Sun. Similarly, their orbital characteristic could make “quasi-satellites” an ideal target for future space missions. One of NASA’s main goals in the coming decade is to send a crewed mission to a Near-Earth Object in order to test the Orion spacecraft and the Space Launch System. Such a mission would also help develop the necessary expertise for mounting missions deeper into space (i.e. to Mars and beyond). The study of Near-Earth Objects is also of immense importance when it comes to determining how and where as asteroid might pose a threat to Earth. This knowledge allows for advanced warnings which can potentially save lives. It is also significant when it comes to the development of proposed counter-measures, several of which are currently being explored. Within Earth’s orbit, there are literally thousands of what are known as Near-Earth Objects (NEOs), more than fourteen thousands of which are asteroids that periodically pass close to Earth. Since the 1980s, these objects have become a growing source of interest to astronomers, due to the threat they sometimes represent. But as ongoing studies and decades of tracking the larger asteroids has shown, they usually just pass Earth by. More importantly, it is only on very rare occasions (i.e. over the course of millions of years) that a larger asteroid will come close to colliding with Earth. For example, this September 1st, the Near-Earth Asteroid (NEA) known as 3122 Florence, will pass by Earth, but poses no danger of hitting us. Good thing too, since this Near-Earth Asteroid is one of the largest yet to be discovered, measuring about 4.4 km (2.7 mi) in diameter! To put that in perspective, the asteroid which is thought to have killed the dinosaurs roughly 65 million years ago (aka. 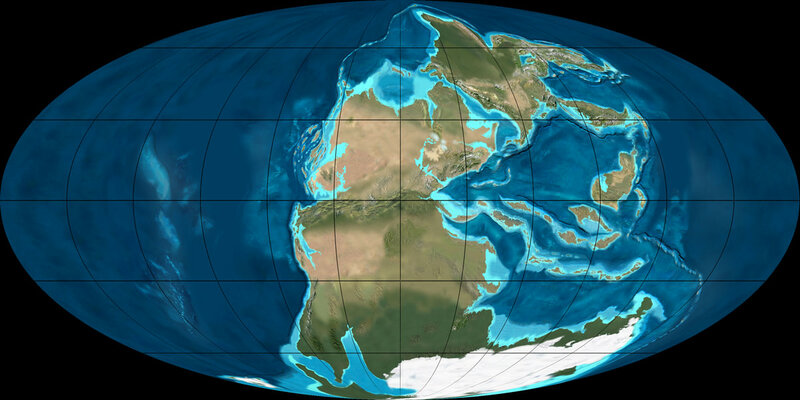 the Cretaceous–Paleogene extinction event) is believed to have measured 10 km (6 mi) in diameter. This impact also destroyed three-quarters of the plant and animal species on Earth, hence why organizations like NASA’s Center for Near-Earth Object Studies (CNEOS) is in he habit of tracking the larger NEAs. Rather than being a threat, the flyby of this asteroid will be an opportunity for scientists to study it up close. NASA is planning on conducting radar studies of Florence using the Goldstone Solar System Radar in California, and the National Science Foundation’s (NSF) Arecibo Observatory in Peurto Rico. These studies are expected to yield more accurate data on its size, and reveal surface details at resolutions of up to 10 m (30 feet). This asteroid was originally discovered on March 2nd, 1981, by American astronomer Schelte Bus at the Siding Spring Observatory in southwestern Australia. It was named in honor of Florence Nightingale (1820-1910) the founder of modern nursing. Measurements obtained by NASA’s Spitzer Space Telescope and the NEOWISE mission are what led to the current estimates on its size – about 4.4 km (2.7 mi) in diameter. The upcoming flyby will be the closest this asteroid has passed to Earth since August 31st, 1890, where it passed at a distance of 6.7 million km (4.16 million mi). Between now and then, it also flew by Earth on August 29th, 1930, passing Earth at a distance of about 7.8 million km (4.87 million mi). While it will pass Earth another seven times over the course of the next 500 years, it will not be as close as it will be this September until after 2500. For those interesting into doing a little sky watching, Florence will be brightening substantially by late August and early September. During this time, it will be visible to those using small telescopes for several nights as it moves through the constellations of Piscis Austrinus, Capricornus, Aquarius and Delphinus. NASA’s Wide-field Infrared Survey Explorer (WISE) accomplished much during its first mission, which ran from December of 2009 to September of 2010. During the many months that it was active, the orbital telescope conducted an all-sky astronomical survey in the infrared band and discovered thousands of minor planets and numerous star clusters. The extension of its mission, NEOWISE, has brought new life to the telescope as a comet and asteroid hunter. And since its re-activation in December of 2013, the orbiting telescope has spotted hundreds of Near Earth Objects (NEOs) and thousands of Main Belt asteroids. Most recently, it has detected two new objects (both possibly comets) which could be observable from Earth very soon. The most recent object to be detected – 2016 WF9 – was first observed by NEOWISE on November 27th, 2016. This comet’s path through the Solar System takes it on a circuitous route, taking it from Jupiter to just inside the orbit of Earth over the course of 4.9 years. Much like other objects of its kind, 2016 WF9 may have once been a comet, or part of a population of dark objects in the Main Asteroid Belt. In any case, 2016 WF9 will approach Earth’s orbit on February 25th, 2017, passing Earth at a minimum distance of almost 51 million km (32 million mi). This will place it well outside the orbit of the Moon, so the odds of it threatening Earth are negligible. But for those keen observers hoping to catch sight of the object, it will be close enough that it might be visible with just a pair of binoculars. Since its discovery, 2016 WF9 has been of interest to astronomers, mainly because it straddles the already blurry line between asteroids and comets. While its proportions are known – roughly 0.5 to 1 kilometer in diameter (0.3 to 0.6 miles) – its other characteristics have led to some confusion as to where it came from. For one, its appearance (which is quite dark) and its orbit are consistent with what one expects from a comet. The other object, C/2016 U1 NEOWISE, was discovered about a month prior to 2016 WF9. Its orbit, which can you see by checking out the 3D Solar System Simulator, takes it from the outer Solar System to within Mercury’s orbit over the course of thousands of years. According to NASA scientists, this object is very clearly a comet, as evidenced by the dust it has been releasing as it gets closer to our Sun. During the first week of 2017, comet C/2016 U1 NEOWISE is also likely to be visible in the night sky – in this case, in the southeastern sky shortly before dawn (for those looking from the northern hemisphere). It will reach its closest point to the Sun on January 14th (where it will be passing within Mercury’s orbit) before heading back out towards the outer Solar System. In any case, NASA will be continuing to monitor 2016 WF9 to see if they can’t sort out what it is. Should it prove to be a comet, it would be the tenth discovered by NEOWISE since it was reactivated in December of 2013. If it turns out to be an asteroid, it would be the one-hundredth discovered since its reactivation. As of November 2016, the orbital telescope has conducted over 562,000 infrared measurements have been made of 24,024 different solar system objects, including 613 NEOs and 110 comets. It has also been responsible for discovering 249 new near-Earth objects and comets, as well as more than 34,000 asteroids during its original mission. At present, NEOWISE’s science team is currently reprocessing all its primary mission data to extend the search for asteroids and comets. It is hoped that by taking advantage of the latest in photometric and astrometric calibrations, they will be able to push the limits of what the telescope can detect, thereby adding many more minor planets and objects to its suite of discoveries. In the coming decades, the world’s largest space agencies all have some rather big plans. Between NASA, the European Space Agency (ESA), Roscosmos, the Indian Space Research Organisation (ISRO), or the China National Space Administration (CNSA), there are plans to return to the Moon, crewed missions to Mars, and crewed missions to Near-Earth Objects (NEOs). In all cases, geological studies are going to be a major aspect of the mission. For this reason, the ESA recently unveiled a new training program known as the Pangaea course, a study program which focuses on identifying planetary geological features. This program showcases just how important planetary geologists will be to future missions. Pangaea takes its name from the super-continent that that existed during the late Paleozoic and early Mesozoic eras (300 to 175 million years ago). Due to convection in Earth’s mantle, this continent eventually broke up, giving rise to the seven continents that we are familiar with today. This first part of the course will take place this week, where astronaut trainer Matthias Maurer and astronauts Luca Parmitano and Pedro Duque will be learning from a panel of planetary geology experts. These lessons will include how to recognize certain types of rock, how to draw landscapes, and the exploration of a canyon that has sedimentary features similar to the ones observed in the Murray Buttes region, which was recently imaged by the Curiosity rover. The geology panel will include such luminaries as Matteo Messironi (a geologist working on the Rosetta and ExoMars missions), Harald Hiesinger (an expert in lunar geology), Anna Maria Fioretti (a meteorite expert), and Nicolas Mangold (a Mars expert currently working with NASA’s Curiosity team). Once this phase of the course is complete, a series of field trips will follow to locations that were chosen because their geological features resemble those of other planets. This will include the town of Bressanone in northeastern Italy, which lies a few kilometers outside of the Brenner Pass (the part of the Alps that lies between Italy and Austria). In many ways, the Pangaea course picks up where the Cooperative Adventure for Valuing and Exercising Human Behaviour and Performance Skills (CAVES) program left off. For several years now, the ESA has been conducting training missions in underground caverns in order to teach astronauts about working in challenging environments. This past summer, the latest program involved a team of six international astronauts spending two weeks in a cave network in Sardinia, Italy. In this environment, 800-meters (2625 ft) beneath the surface, the team carried out a series of research and exploration activities designed to recreate aspects of a space expedition. As the teams explore the caves of Sardinia, they encountered caverns, underground lakes and examples of strange microscopic life – all things they could encounter in extra-terrestrial environments. While doing this, they also get the change to test out new technologies and methods for research and experiments. In a way that is similar to expeditions aboard the ISS, the program was designed to teach an international team of astronauts how to address the challenges of living and working in confined spaces. These include limited privacy, less equipment for hygiene and comfort, difficult conditions, variable temperatures and humidity, and extremely difficult emergency evacuation procedures. Above all, the program attempts to foster teamwork, communication skills, decision-making, problem-solving, and leadership. This program is now an integral part of the ESA’s astronaut training and is conducted once a year. And as project leader Loredana Bessone explained, the Pangaea course fits with the aims of the CAVES program quite well. From all of these efforts, it is clear that the ESA, NASA and other space agencies want to make sure that future generations of astronauts are trained to conduct field geology and will be able to identify targets for scientific research. But of course, understanding the importance planetary geology in space exploration is not exactly a new phenomenon. This tradition is being carried on today with instruments like the Mars Global Surveyor. Before the Spirit and Opportunity rovers were deployed to the Martian surface, NASA scientists studied images taken by this orbiter to determine which potential landing sites would prove to be the valuable for conducting research. And thanks to the experience gained by the Apollo missions and improvements made in both technology and instrumentation, the process has become much more sophisticated. Compared to the Apollo-era, today’s NASA mission planners have much more detailed information to go on. Looking ahead, everything that’s learned from sending astronauts to the Moon – and from the study of the lunar rocks they brought back – is going to play a vital role when it comes time to explore Mars, go back to the Moon, and investigate NEOs. As Lakdawalla explained, in each case, the purpose of the geological studies will be a bit different. And with future missions to NEOs, astronauts will be tasked with examining geological samples which date back to the formation of the Solar System. From this, we are likely to get a better understanding of how our Solar System formed and evolved over the many billion years it has existed. Clearly, it is a good time to be a geologist, as their expertise will be called upon for future missions to space. Hope they like tang! In February of 2014, NASA put out the call for submissions for the thirteenth mission of their Discovery Program. In keeping with the program’s goal of mounting low-cost, highly focused missions to explore the Solar System, the latest program is focused on missions that look beyond Mars to new research goals. On September 30th, 2015, five semifinalists were announced, which included proposals for sending probes back to Venus, to sending orbiters to study asteroids and Near-Earth Objects. Among the proposed NEO missions is the Near Earth Object Camera, or NEOCam. Consisting of a space-based infrared telescope designed to survey the Solar System for potentially hazardous asteroids, the NEOCam would be responsible for discovering and characterizing ten times more near-Earth objects than all NEOs that have discovered to date. If deployed, NEOCam will begin discovering approximately one million asteroids in the Main Belt and thousands of comets in the course of its 4 year mission. However, the primary scientific goal of NEOCam is to discover and characterize over two-thirds of the asteroids that are larger that 140 meters, since it is possible some of these might pose a threat to Earth someday. The technical term is Potentially Hazardous Objects (PHO), and it applies to near-Earth asteroids/comets that have an orbit that will allow them to make close approaches to Earth. And measuring more than 140 meters in diameter, they are of sufficient size that they could cause significant regional damage if they struck Earth. In fact, a study conducted in 2010 through the Imperial College of London and Purdue University found that an asteroid measuring 50-meters across with a density of 2.6 grams per cubic centimeter and a speed of 12.7 kps could generate 2.9 Megatons of airburst energy once it passed through our atmosphere. To put that in perspective, that’s the equivalent of about nine W87 thermonuclear warheads! By comparison, the meteor that appeared over the small Russian community of Chelyabinsk in 2013 measured only 20 meters across. Nevertheless, the explosive airbust caused by it entering our atmosphere generated only 500 kilotons of energy, creating a zone of destruction tens of kilometers wide and injuring 1,491 people. One can imagine without much effort how much worse it would have been had the explosion been six times as big! What’s more, as of August 1st, 2015, NASA has listed a total of 1,605 potentially hazardous asteroids and 85 near-Earth comets. Among these, there are 154 PHAs believed to be larger than one kilometer in diameter. 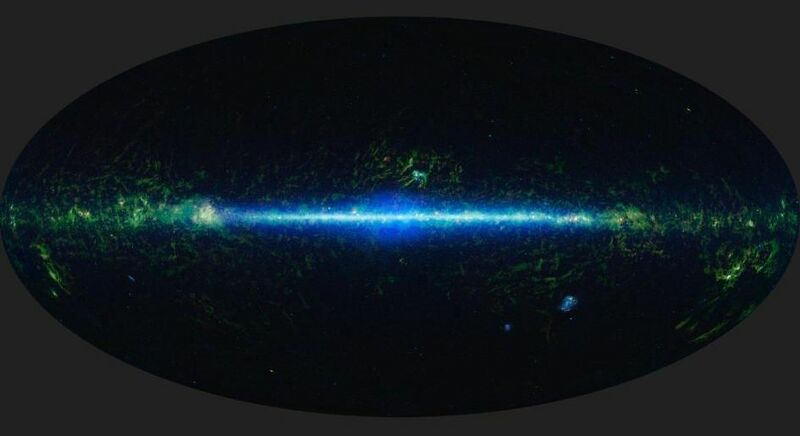 This represents a tenfold increase in discoveries since the end of the 1990s, which is due to several astronomical surveys being performed (as well as improvements in detection methods) over the past two and a half decades. As a result, monitoring and characterizing which of these objects is likely to pose a threat to Earth in the future has been a scientific priority in recent years. It is also why the U.S. Congress passed the “George E. Brown, Jr. Near-Earth Object Survey Act” in 2005. Also known as the “NASA Authorization Act of 2005”, this Act of Congress mandated that NASA identify 90% of all NEOs that could pose a threat to Earth. If deployed, NEOCam will monitor NEOs from the Earth–Sun L1 Lagrange point, allowing it to look close to the Sun and see objects inside Earth’s orbit. To this, NEOCam will rely on a single scientific instrument: a 50 cm diameter telescope that operates at two heat-sensing infrared wavelengths, to detect the even the dark asteroids that are hardest to find. Dr. Mainzer is no stranger to infrared imaging for the sake of space exploration. In addition to being the Principal Investigator on this mission and a member of the Jet Propulsion Laboratory, she is also the Deputy Project Scientist for the Wide-field Infrared Survey Explorer (WISE) and the Principal Investigator for the NEOWISE project to study minor planets. She has also appeared many times on the History Channel series The Universe, the documentary featurette “Stellar Cartography: On Earth”, and serves as the science consultant and host for the live-action PBS Kids series Ready Jet Go!, which will be debuting in the winter of 2016. Under her direction, the NEOCam mission will also study the origin and ultimate fate of our solar system’s asteroids, and finding the most suitable NEO targets for future exploration by robots and humans. Proposals for NEOCam have been submitted a total of three times to the NASA Discovery Program – in 2006, 2010, and 2015, respectively. In 2010, NEOCam was selected to receive technology development funding to design and test new detectors optimized for asteroid and comet detection and discovery. However, the mission was ultimately overruled in favor of the Mars InSight Lander, which is scheduled for launch in 2016. As one of the semifinalists for Discovery Mission 13, the NEOCam mission has received $3 million for year-long studies to lay out detailed mission plans and reduce risks. In September of 2016, one or two finalist will be selected to receive the program’s budget of $450 million (minus the cost of a launch vehicle and mission operations), and will launch in 2020 at the earliest. In related news, NASA has confirmed that the asteroid known as 86666 (2000 FL10) will be passing Earth tomorrow. No need to worry, though. At its closest approach, the asteroid will still be at a distance of 892,577 km (554,000 mi) from Earth. Still, every passing rock underlines the need for knowing more about NEOs and where they might be headed one day!